Cate: Please welcome Diane. Diane, will you please share a short bio with us? Diane: I live about 26 miles from Cincinnati, Ohio. My husband and I met while teaching at an orphanage. We celebrated our 35th wedding anniversary last August. We were blessed with six children - five daughters and one son. Writing is my passion but I also enjoy scoring tests for various states several months out of the year. The weird thing is I’m great at scoring high school science tests and science was my weakest subject and least favorite in school. Cate: What a great love story! Tell us about your latest release and where it's available. Diane: I have two new releases – A Christmas Collection Anthology: Sensual and A Christmas Gift. My story’s title in the anthology is “The Proposal” and is a contemporary romance. A Christmas Gift is historical fiction but based on some true childhood experiences. Both releases are available in paperback and electronic downloads. The anthology is published by Victory Tales Press and A Christmas Gift is with Whimsical Publications. For the rest of the questions, I’ll focus on A Christmas Collection Anthology release. Cate: Double congrats! Please tantalize us with a story blurb or excerpt. Diane: Jacqueline Andrews hopes her boyfriend Brad’s surprise is an engagement ring for her twenty-sixth birthday. Her best friend, Tyler Jordan, wants Jacqueline to be happy, but not with Brad. Tyler regrets blowing off Jacqueline’s confession of love for him before he left for college. When he returns to their small town as a physician’s assistant, he falls in love with her. He needs to win her love back. Will his hot kisses sway her? Or is she going to marry Brad? Diane: Tyler Jordan is hot, funny, sensitive, caring, adorable and persistent in getting his woman. He’s a guy who realizes he made a mistake in rejecting Jacqueline at their high school Prom. Cate: I love reunion stories. Tease us with one little thing about your fictional world that makes it different from others. Diane: I’ve had readers tell me that they find it refreshing to read a contemporary romance without the usual coy flirtatiousness and manipulative scheming that seems to be in a lot of romances. My heroes and heroines are open and honest. Cate: Great traits. What's next for you? Diane: I’m working on a story about a father and daughter, both teach at the same college in Virginia. The father is anxious for his daughter, Lexi, to get married and give him a grandchild. Lexi thinks her father needs to move on with his life. Her mother died three years ago on the way to the bridal shop to pick up Lexi’s wedding dress. Diane: I haven’t lately because I’ve been busy promoting my two releases plus had to take a break from writing to take care of my family. We were blessed with two daughters with special needs. I plan to get back to a writing routine after Christmas. Diane: I have a website, www.dianecraver.com and a blog, http://www.dianecraver.com/blog. I'm also on Facebook. Another place is to visit Jewels of the Quill group. 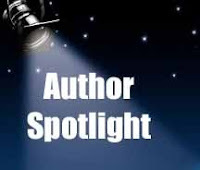 I happen to be in the Author Spotlight this month and this month’s winner will receive a signed copy of A Christmas Gift. To see my page there, here is the link. Diane: I would love to send a gorgeous 5 x 7 postcard with some of my book covers to anyone who would like one. Email me at DianeCraver AT cinci.rr.com and give me your snail mail address. Thanks so much, Cate, for having me here to visit. Cate: Always a pleasure, Diane. Thanks for being my guest, and best of luck with your releases! Readers, Diane is giving away a signed print copy of A Christmas Collection Anthology: Sensual to a random commenter. If outside the United States, an ebook download will be substituted... so start commenting. She'll pick a winner on the evening of Saturday, December 18 and post the winner's name here. You have an awesome blog - thanks for hosting me. Btw, my publisher has a great trailer of all the VTP Christmas Anthologies. The Christmas music and images are wonderful. Great blog. The father and daughter story sounds intriguing. Congratulations on your new releases. Thanks for stopping by. I'm glad you joined the SRN - I'll be sure to visit your website soon. A Christmas Gift is based on some true events but the characters are fictional. This book is very special to me. congrats on the releases they sound like great christmas storys . Thanks, Jennifer. I had fun writing both stories. I appreciate you stopping by. Happy Holidays, Diane! Hope you are enjoying your life and the festive season. Just perfect to have releases lined up to add to all that happiness. BTW, is there a special reason behind your title 'Dame Morganite' down at Jewels of the Quill group? Hope you have a great holiday season too! Thanks for visiting Cate's blog! I was asked to join JOTQ several months ago. Each member (there are always 12)chooses a jewel of their own to use and some of the jewels had already been used by present or past members, when I became a member. But that's okay because I was happy to choose morganite as mine. Be sure to join their newsletter and your name will be entered monthly for their drawings. Thank for the info,I love contests and esp. ebooks. Do you have an idea when would your father and daughter story would come out? Sad about the om angle but want to see what Lexi does for her father. I haven't submitted my father and daughter story about Lexi to a publisher yet. I haven't had time to finish it. I can tell you a bit more - Lexi plans on fixing her dad up with someone and the father's secretary makes a bet that she can fix Lexi up with someone. The setting is Virginia. I always enjoy holiday stories so I would love to read yours. I had fun writing a Christmas story for the Sensual anthology. Have a great weekend! Glad you stopped by. Your books sounds very good. I love reading holiday themed books. Thank you so much! Hope you have a nice evening and weekend. The winner of a signed print copy of A Christmas Collection Anthology:Sensual is Linda Henderson! I'll email you, Linda, to get your snail mail address. Hope everyone has a Merry Christmas and a Happy New Year. I appreciate the comments. LASR is giving a $50 GC to Amazon or B & N. All you have to do is leave a comment starting tomorrow at their Jingle Bell Blog Fest! My blog post is Dec. 27th at the LASR blog. Hope you visit.